Apple has the tradition of announcing a major version of iOS per year. At the WWDC 2018, which was held between 4th – 8th of June, the company brought together thousands of developers in California to introduce the new look, feel, and features of iOS 12. Software vice president Craig Federighi said that all iPhones and iPads released from 2013 will work better with the next version. The popular iPhone 6 Plus was also quoted in the presentation. According to the manufacturer, the iOS 12 will allow greater speed when running applications and display the virtual keyboard. When you open the native camera, the real-time image will appear 70% faster. There is still no date for the official launch of the new system, but the forecast is for September this year. The public beta version of the iOS 12 has already been launched and you can try out the new features of the latest OS for free by signing up to Apple’s Beta Software Program. The program is open to anyone with an Apple ID, allowing users to test the software prior to its official release, as well as provide feedback that will help Apple identify and fix issues in order to optimize usability. Still, it is important to make sure your iOS device is backed up with iTunes and Mac before installing the beta version; even better if you test the OS on a device you no longer use. Alternatively, the Apple Developer Program – launched specifically for developers – provides additional resources for testing and building applications, but it has a membership fee of $99 USD per year. The developer version of the iOS 12 has been available since the WWDC event on the 4th of June. 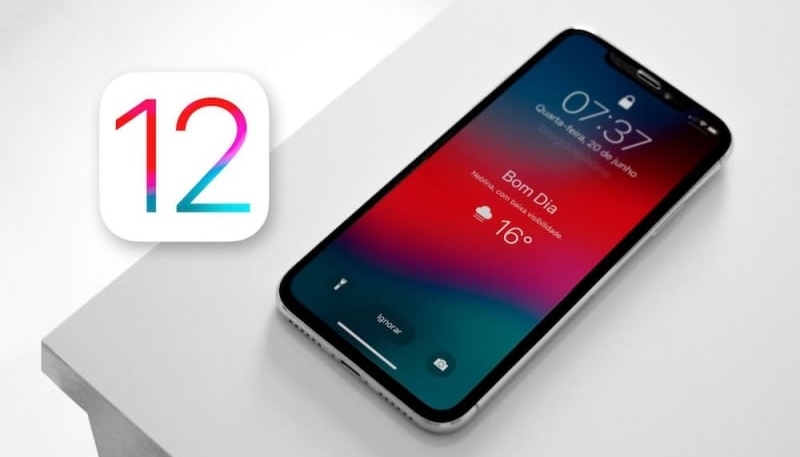 Subsequently, on June 25th Apple launched the first Public Beta for iOS 12, allowing the general public to download and test the latest beta version of the operating system for free. Although the official release date is planned by some time in September, Apply intends to be releasing new betas throughout the Summer, as a way to fix bugs and gather data from users. ARKit, a tool for developers to create an augmented reality, is getting more and more robust. 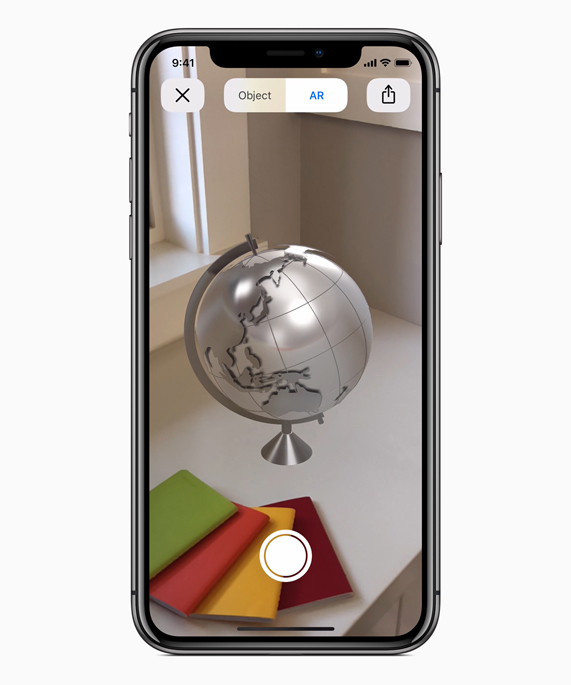 With ARKit 2.0 Apple announced the USDZ – a new format for augmented reality files. In essence, USDZ files are objects that can be opened for viewing and Apple hopes that such innovation will popularize and change the way we experience the internet. For instance, when reading an article in Safari it will be possible to interact with USDZ objects embedded in the post. If it is a store, you will be able to view the product in real full-size. In addition, iOS 12 will finally receive a native measurement application, the Measure. With it, the measurements will be made accurately and completely. It is not a simple ruler, because it calculates area, dimension and many more, all thanks to ARKit. Like all current native gallery apps, iOS Photos has smart search capability where you can search for an object, date or place, as well as have the photos organized by people that appear on it. Still, Apple decided to go further. The Photos app on iOS 12 will have a suggestions section only, featuring search tips, featured photos, and even suggest sharing photos with your friends present. Slightly similar to IFTTT’s operation, Siri has gained the “shortcut” feature. The user will be able to set what happens if he says a certain phrase, which app will it trigger and what it will do. For example, the user can program a shortcut by saying “Siri, returning home,” and it will open the maps app with the route, send your arrival time to a relative, and even switch on the home thermostat. Siri will also pop up on the lock screen with suggestions on interactive notifications; it will be able to learn the routine of the user and show a notification with the dish he or she always eats at lunchtime. One touch and the order will be made. Turning on the screen and seeing dozens of WhatsApp group notifications can disrupt viewing. So with iOS 12, the notifications will eventually be grouped by apps – which was one of the biggest requests made by users. It will also be easy to modify notification options for an app on iOS 12. That is, choose whether notifications should be silently delivered or block any new features of the application. If you are a light sleeper, you will no longer have the night cluttered by the iPhone screen calling with notifications. On iOS 12, during the night, notifications will be displayed on a dark screen, as with other Android smartphones. The “Do Not Disturb” mode will be more customizable, with new ways to program when the mode should be active: for an hour, all morning, until leaving school (GPS tracking) or until the end of the current event (calendar synchronization). Nowadays, it is fairly common to see smartphones stuck in people’s hands; their eyes locked to the screen for a long period of the day. On this basis, the “Screen Limits” is meant to do away with exaggerations. First and foremost, the tool is an activity analyst: it shows how long the device has been switched on, which apps are most used, which application genres are the longest to use, and how long have users used them in bed (when they should be sleeping). In order to control this exacerbated usage, the user can choose how long each app can be used per day and when the time runs out, a warning is displayed and the application is closed – enough for today! When Animojis appeared on the iPhone X, Samsung responded with the Galaxy S9 and the user’s emoji in 3D. Apple decided to do the same but in a much more complete way. Memoji can create a user-friendly but fully customizable skin, hair color, accessories and even freckles, as well as similar versions of other emojis. Animojis will also receive enhancements, with new characters (Ghost, Koala and more) and the ability to recognize the user’s language. FaceTime has finally received support for group calls, with an incredible 32 people. In this new version, members appear on the screen in squares and are highlighted when they speak. 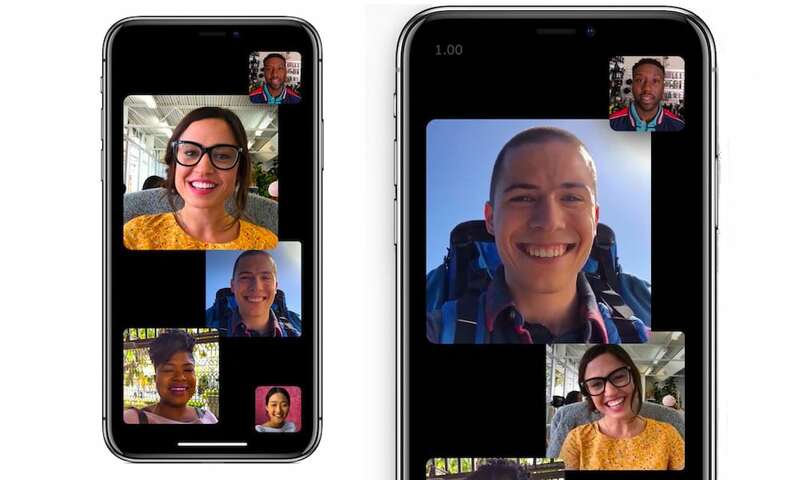 The iOS 12 will allow iPhone X users (and other TrueDepth camera devices) to register a second face to unlock the device – which is great when sharing the iPhone with someone, or even better, the iPad. However, sometimes, for some reason, Face ID does not recognize our face and we must repeat the attempt. Even though it is rather simple to revalidate this ID, on iOS 12 this will be more intuitive – just slide your finger up. The Battery Settings will give you a more complete report on the use of the device, showing you the most energy consumed in recent days. This upgrade is ideal for you to understand the reasons the battery has run faster, allowing you to try to improve the cause of it and optimize your usage. Until then, to close applications that were open on the background in iPhone X, you had to open the multitasking screen and hold the app window for 2 seconds until a red ball appears, which indicated that you could close the window by touching the ball or sliding the window up. In iOS 12, the ball stage was eliminated, simply dragging the window up simply, as was already done on the iPad. Once again, Apple affirms their commitment to quality and will bring the iOS 12 to all devices that already have iOS 11, since the line of 2013, which includes the iPhone 5S. Thus, the iOS 12 will take the full potential of the processors and, according to Apple, apps will open up to 40% faster, with the camera powered up to 70% faster – the iPhone will be even faster! As the name suggests, the Developer Beta version – available via the Apple Developer Program – was released specifically for app developers who, in order to update their applications, need access to the OS before the general public. Hence, this beta includes some features that the Public Beta – a much simpler update of the OS – doesn’t have. Still, it all comes with a cost: while the ones who sign up for a Developer Beta need to pay a yearly membership of $99 USD, those who choose the Public Beta can enjoy, test, and give feedback for free. That being said, Apple estimates that by September everyone with an iOS 11 device (iPhone 5s and newer) will have access to the full official version of the iOS 12.